With demands for broader connectivity and hybrid deployment models, integration is changing to become more pervasive. TIBCO Cloud™ Integration offers capabilities matching users of various skill levels, so you can quickly connect cloud apps, build hybrid integration flows across on-premises systems, and develop microservices and IoT edge applications. Using an intuitive drag-and-drop and API-led design approach, and a deploy-anywhere model, our enterprise iPaaS can get your apps connected more quickly and easily than ever before.  TIBCO Cloud Integration accelerates your integration projects with hundreds of connectors for applications and technologies including CRM, ERP, marketing and eCommerce systems, databases, text files and with standards like REST, OData, and XML. Simply enter your credentials to connect. 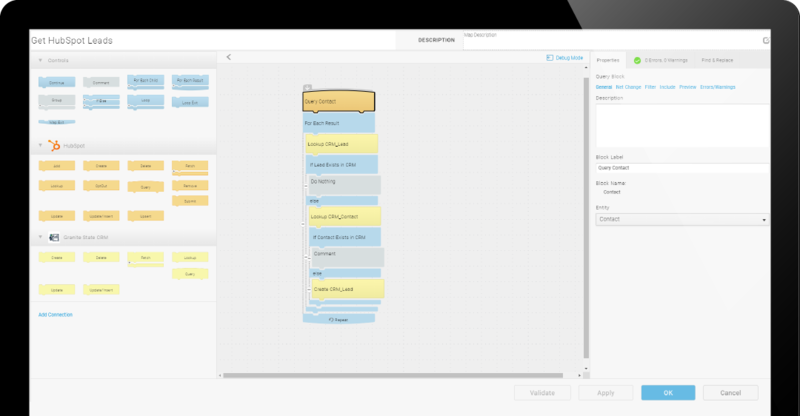 Create integration maps to move your data without writing code by dragging control and operation blocks onto the mapping canvas. Easily document the map with block labels, descriptions, and revision comments so others can tell exactly what it does at a glance.